On Sunday, Michelle Obama made the guest appearance heard round the world. Well, at least the internet. 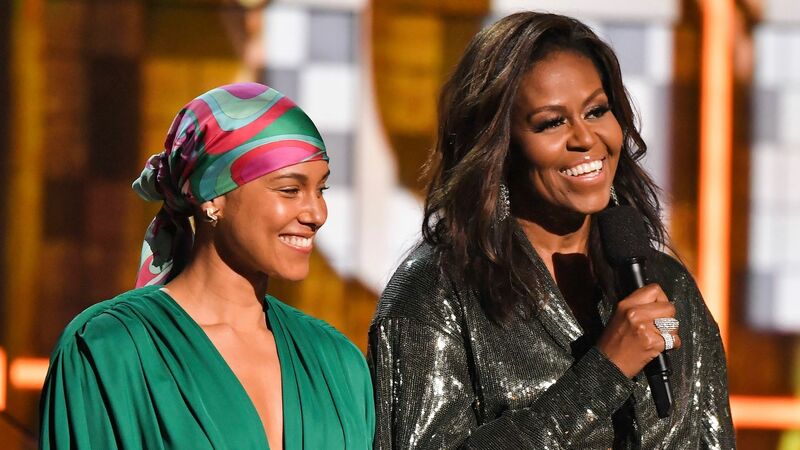 The former first lady took the stage at the 61st annual Grammy Awards, and while many were shocked to see Obama, it seems one of her own family members was also surprised: her mom, Marian Robinson, had no idea her daughter would be at the award show. And thus, a hilarious text message exchange between Obama and her mom ensued. “I guess you were a hit at the Grammys,” Robinson wrote — complete with a smiley face emoji. Obama responded, “I’m sitting here with Valerie and this text is so typically you. Did you watch it? !” Robinson admitted she did, but only after someone named Gracie called her about it. Um, real stars? You mean more real than our once and forever first queen? Obama took her mother’s comment in stride, responding with a bunch of laughing emoji and by saying, “And I am a real star…by the way.” Which she is. I mean, hello. She is Michelle-freakin’-Obama. As for whether or not Obama was able to hobnob with any bigger celebs than her, that remains to be seen. Either way, it looks like she had an amazing time.